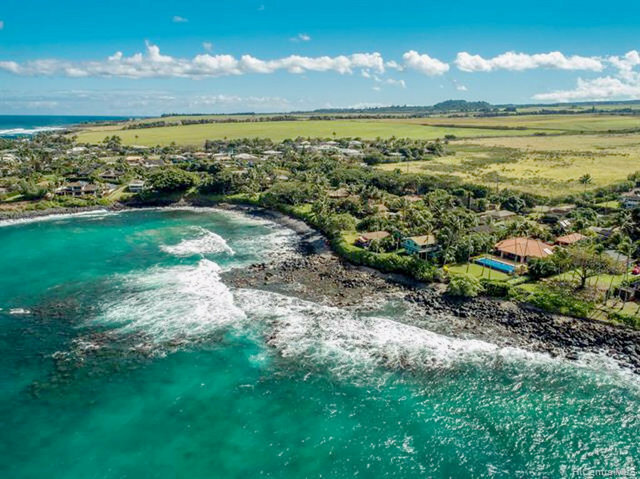 MAKAWAO | PAIA | MULTI-FAMILY | $4,200,000 FS Situated along a tranquil bay on Maui's North Shore are 3 cottage homes. Each has it's own personality reflective of it's name (Pono, Lani & Kainalu). These homes have been lovingly upgraded with new kitchens and baths while still retaining their Plantation Charm. The two oceanfront homes feature large covered decks to enjoy the ocean views, and watch turtles play in the bay. They also both feature tropical outdoor shower areas and there is a hot tub to soak your cares away. The additional cottage has a beach charm all its own with newer bath and kitchen. Launch your kayak or surfboard from your very own shoreline access. This is a true Hawaiiana retreat and offers all the best of North Shore living including surfing and Paia town with it's quaint shops and restaurants nearby.